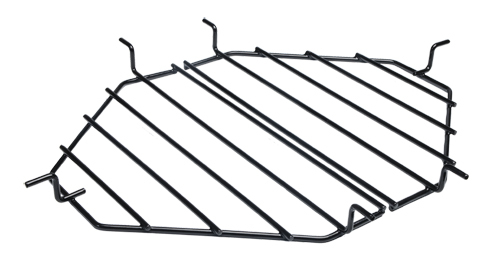 The Roaster Drip Pan Rack for the Primo Oval Large 300 can hold a pan to catch juices as you're cooking, you can use it to add steamy flavor over higher heat, or use it with the Primo Ceramic Heat Deflectors to experiment with indirect heat - maybe you'll even explore the possibilities of baking on your grill. You read that right. Baking. On. The. Grill. WARNING: Burning charcoal in this product can expose you to checmicals including carbon monoxide which is know by the State of California to cause birth defects or reproductive harm. For more information go to www.P65Warnings.ca.gov.